I still think Buffalo wants to add another puck mover on their blueline before camp and Franson makes some sense here...but they obviously are looking at a few other players both via trade and free agency. 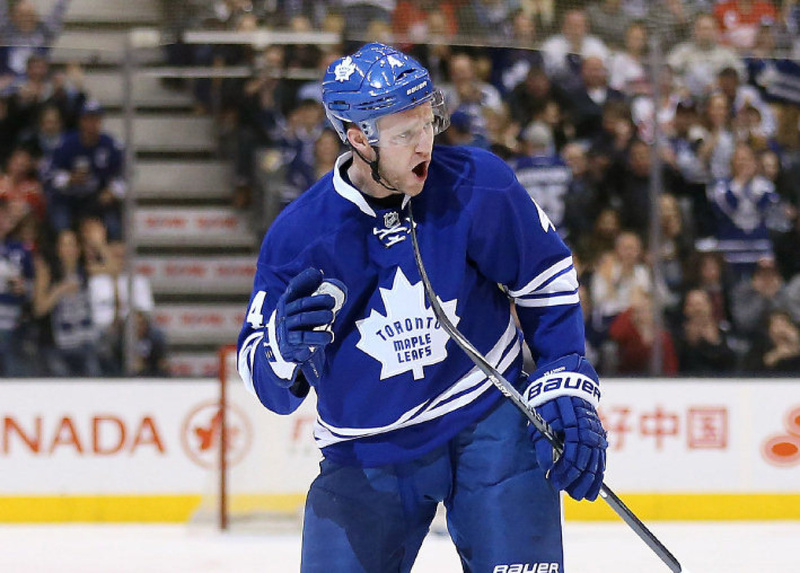 Ehrhoff has several offers on the table, but some wonder if his injuries this past season are scaring teams off. Carolina and Boston still seem the most interested, but Columbus and a couple others remain in the mix. If Vancouver could shed some salary they might be a darkhorse here. Pretty much every Habs center is finding their name popping up in rumours lately. There is a distinct possibility the Habs will look to trade one of them this season, whether it's Desharnais, Lars Eller or even Tomas Plekanec who is getting his name thrown around quite regularly. The last one doesn't make a ton of sense to me, because a playoff bound team like Montreal probably doesn't want to part with a two-way force like Plekanec. A trade would certainly be easier to facilitate if Alex Galchenyuk emerged as a reliable center this upcoming season. The Flames may have no choice but to move Jiri Hudler this upcoming season. With the salary cap stagnant, and needing to re-sign Johnny Gaudreau, Kris Russell, Mark Giordano, Sean Monahan and Markus Granlund, Hudler is looking more and more like the odd man out. All quiet on the Flames-Giordano contract extension negotiations but there's hope to get a deal done before training camp. A huge dollar figure for Giordano could end up adding more than just Hudler to the trade block. The Penguins called on Hudler before making the Kessel trade, and it doesn't appear as though the Flames have talked to any teams about Hudler since then. They'll probably revisit a trade some time during the regular season depending on team needs. A rumour is going around that Gagne may make a decision on his playing career in the next few weeks. The betting money is on a retirement announcement, but players are known to change their minds at the last minute quite frequently. I know a lot of you also follow @TheHockeyChat on Twitter for NHL news and rumours so I thought I'd pass this on. He deactivated his account this morning due to a "personal circumstance" and says he will be gone "a while". All the best, THC.